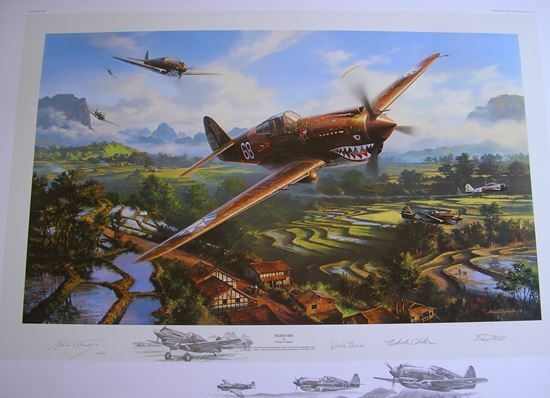 One of Nick's very early releases - and the ONLY time he has painted the famous AVG or 'Flying Tigers', 'Tiger Fire' depicts the Curtis P-40's of the 3rd Pursuit Squadron 'Hells Angels' as they engage Japanese fighters low over the rice fields near Kunming China in 1941. 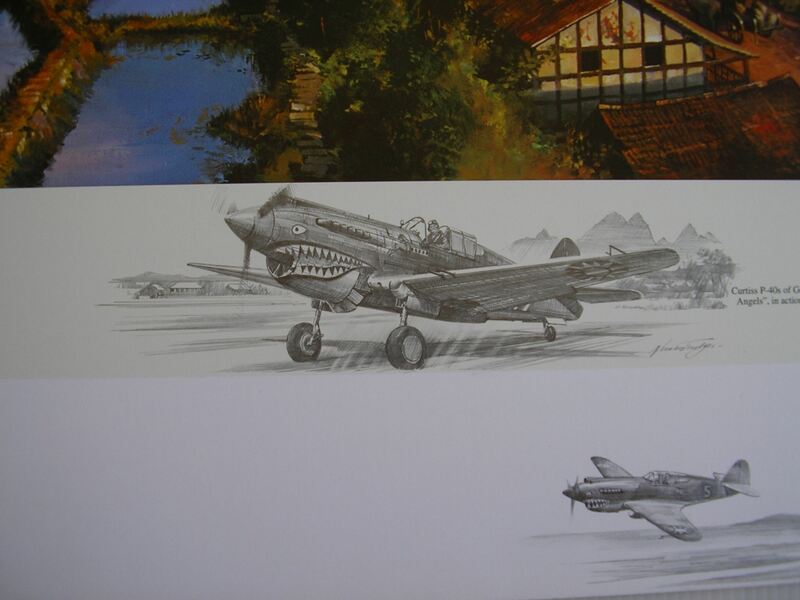 The 'Flying Tigers' or, to give them their correct designation 'The American Volunteer Group' (AVG for short) were a group of US pilots committed to defending China from Japanese aggression - long before their country was blasted into WW2 by the Pearl Harbor attack. Assisting in defending China's forces against Japanese air attack, the AVG were the first Allied force to really inflict serious losses on the Japanese Air Force. This is a VERY RARE multi-Remarqued copy of this Edition. There were only 50 Remarques worldwide for this release and examples rarely come on to the Secondary Market. A very rare opportunity to acquire an extraordinary piece! !